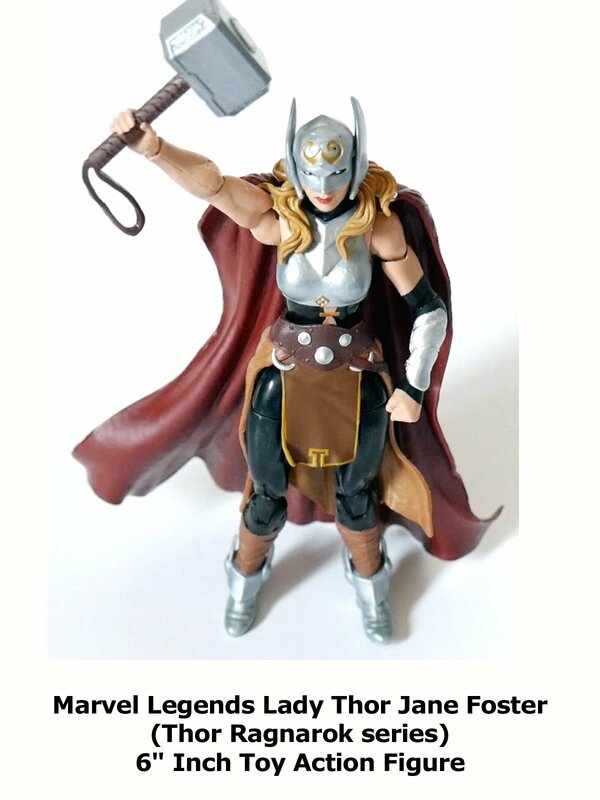 This is a Marvel Legends Lady Thor 6" inch action figure review. Part of the Thor Ragnarok Gladiator Hulk build a figure BAF wave. This Thor action figure has a lot of details and a complicated costume. But Hasbro did a fantastic job. It's well sculpted, detailed and articulated. And a fine addition to any collection.